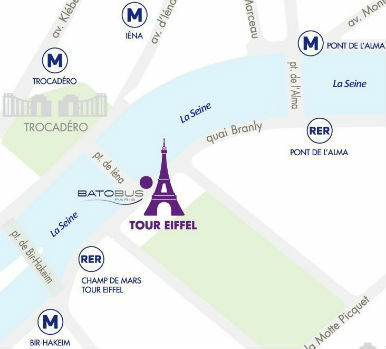 At the foot of the Eiffel Tower, opposite the Trocadéro, cross the street and walk down the stairs at the right hand corner of Pont de Iéna. The Eiffel Tower is like the lighthouse of Paris. All the travellers in the world-even those who have never seen it-identify it as the absolute symbol of the city. 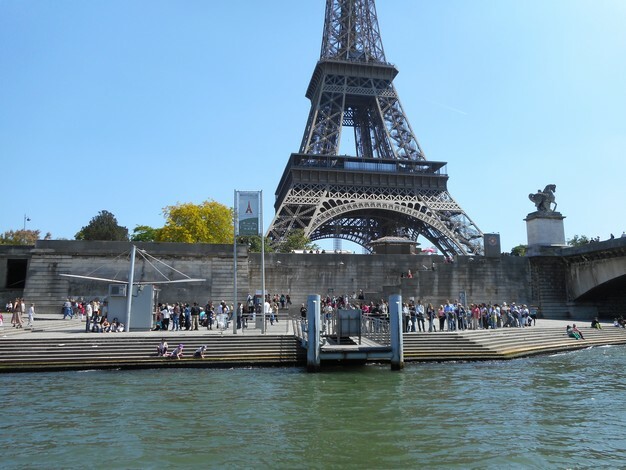 The steel lady was born in 1889 for a Universal Exposition celebrating the centenary of the French Revolution.